40 Lesbian is a busy UK lesbian dating websites around and is one of the easiest to use too. Here is just a small selection of our latest members in the Highlands area. How Does 40 Lesbian Work? Sign up for your free trial dating account using our signup form above. Let other single girls find you with your shiny new profile complete with your best photo. Use our easy search tool to find single lesbians over 40 by postcode. It's so easy. Send message to the sgirls that catch your eye and reply to messages sent to you. Want a cheeky peak at a few members near you? We have many single girls over 40 in our database, looking to meet other girls, just like you. Just select either your nearest city or your region from the menu's below for a preview of our latest members near you. Our preview not good enough? Use our simple search tool is here to help you find girls in your exact chosen age range and location. Give it a whirl to find your perfect match today. What Is 40+ Lesbian Dating? Before the Internet came along and swept us all off of our feet, we were stuck with using either clumsy and clunky telephone dating services or posting coy personal ads in local nespapers, or meat market magazines. Now the Internet is here, it's much easier to find and meet that special somebody that we all deserve. When you join an online dating servce such as 40 Lesbian, instead of sending an advert to a loacal newspaper or magazine, you wsimply post a brief profile about yourself online using your PC or mobile phone, from the comfort of your own home. You can also upload a photo of yourself to your profile, right from you smartphone. Once your profile is live, you will start to receive winks and messages from other dating members. You can also start using simple search tools to search and browse local members you'd like to meet. Why not sign up now for free and see who's online near you. 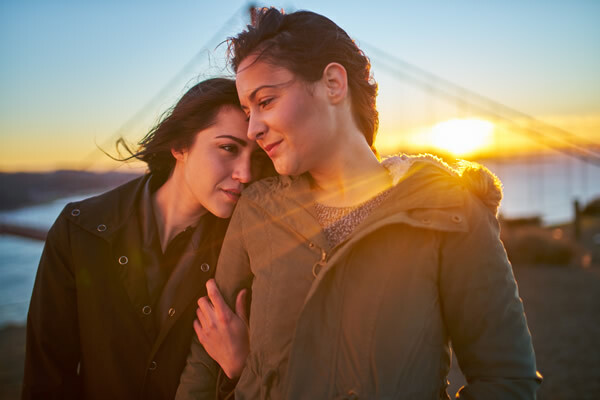 Why Choose 40 Lesbian Dating? With many members across the country, ours is a long running lesbian dating websites for the over 40's. Our service and the tools we offer are as simple to use as possible, but should you find yourself a little stuck, support is just a click away, no matter what the problem might be. We take your safety and privacy very seriously. Our UK based team of moderators work hard, checking each and every member profile on our website, ensuring everyone who uses our service is who they say they are. Your personal details are kept under lock and key.